Considered one of the most accomplished non-state opera companies in the UK, Opera Holland Park is a summer season of opera performances staged annually under a temporary canopy in Holland Park, a public park in a wealthy district of west central London. 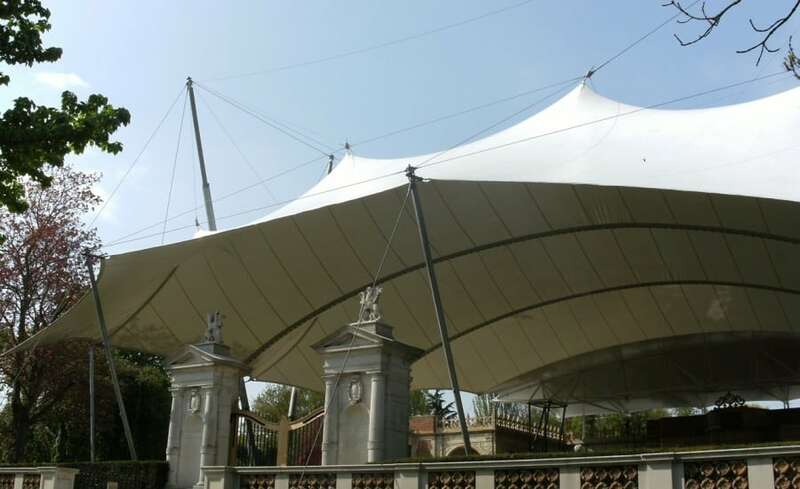 After launching a competition to design a replacement structure for the famous Opera House, clients Opera Holland Park chose Architen Landrells design as the winning entry and awarded them the contract to manufacture and install their proposed canopy. 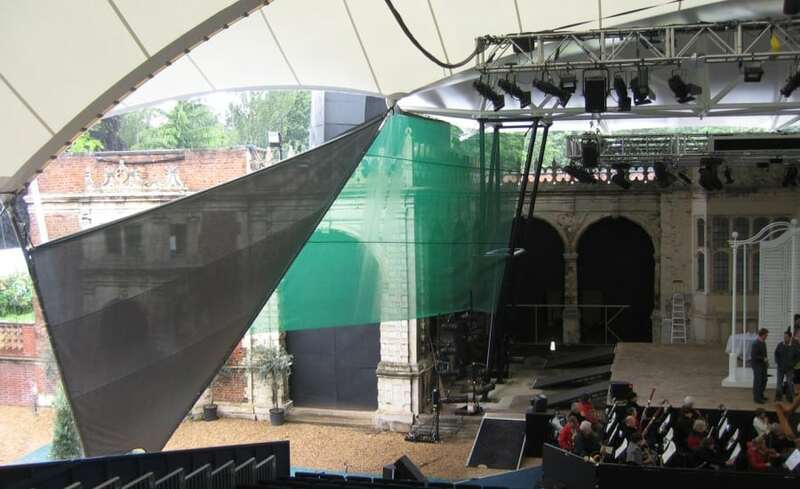 The brand new canopy was built and installed in time for the beginning 2007 season and came in useful as the wet summer unfolded. The canopy consists of four main masts in two V-shaped configurations to allow maximum strength. 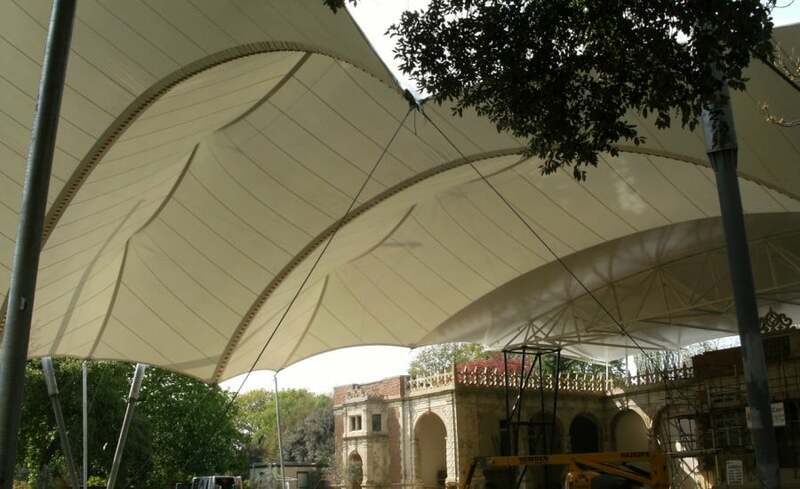 Compared to the original canopy, the new structure increased the space covered from 1200 to 1600 square metres and expanded the capacity by a further 23%. The height of the apex also increased to create steeper and more comfortable seating areas beneath it. As a music venue, acoustics had to be carefully considered; the peaks of the structure were designed to provide places where sound can be reflected downwards towards the audience and the material and design minimise the sounds escaping through the open sides as much as possible. As a Grade I listed building Holland Park was a challenge for the designers and installers at Architen Landrell. However, our designs ensured that not one screw, bolt or rope was fixed onto the existing building – the vast structure and its supporting steelwork is entirely free standing.